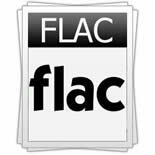 FLAC stands for Free Lossless Audio Codec, and is used for lossless audio data compression. FLAC, or Free Lossless Audio Codec, is used for lossless audio data compression. It is compressed via the Free Lossless Audio Codec. It makes no quality loss during the compression process. FLAC is working freely on most operating systems, including Windows, "unix" (Linux, *BSD, Solaris, OS X, IRIX), BeOS, OS/2, and Amiga. It supports tagging and fast seeking. There are many media players that can play .flac files, such as winamp, jetaudio, foobar2000, vlc, kmediaplayer, Xion, and many more. FLAC is appropriate to everyday audio playback. Compared with MP3 and other lossy formats, it can be played in many portable audio devices. It has its own advantages. Compared with lossless formats such as WavPack, it gains more support of hardware devices out of the box. FLAC can make the bandwidth narrower. FLAC can compress the size of audio sources 40-50% smaller than the original. Usually, a digital audio recording can be decompressed into an identical copy of the audio data. FLAC is the first truly open and free lossless audio format. Because it is free and available without cost, there is a lot of software that can support this open source and mature format. It is fully open to everyone. That means for any purpose, this specification of the format FLAC can be used freely. All the source codes are available in any open source license.